Four universities approved to run e-learning degree programmes in Nigeria – Royal Times of Nigeria. Four Nigerian universities have been given approval by the National Universities Commission (NUC) to run e-learning Programme in Nigeria. The director of information and public relations of NUC, Ibrahim Yakasai, said the commission maintains its stand that online degrees are not accepted in Nigeria at the moment except in the four approved universities. These four universities have been duly approved by the commission as the pilot institutions for the Nigerian universities e-learning programme run within the shores of Nigeria. Students who enroll in the e-learning programme can select any of the following undergraduate degree programmes, economics, banking and finance, accounting, business administration and marketing for which they have requisite qualifications. 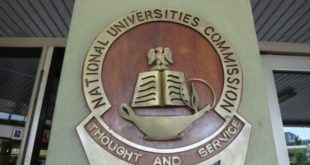 NUC had earlier blacklisted about 57 illegal universities in Nigeria, with some of them running online degree programmes in affiliation with some foreign universities.